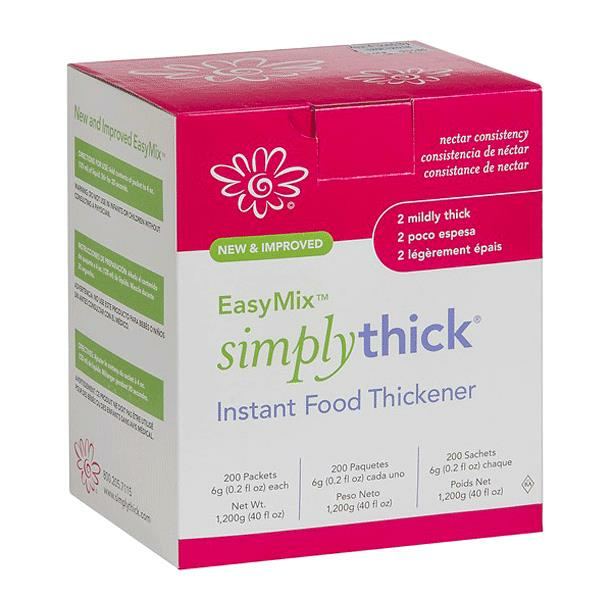 Simply Thick Instant Food Thickener are pre-measured packets that allow for fast and easy preparation of beverages anywhere. SimplyThick is a gel-based food thickener. EasyMix can be mixed with a spoon, straw or fork - no shaking required and is ready to drink in seconds, not minutes, and does not continue to thicken over time. The new formula uses 60% less gel to thicken the same amount of liquid. SimplyThicks pre-measured packets allow for fast and easy preparation of beverages anywhere. Each packet produces either nectar or honey consistency. Two honey packets produce pudding consistency. 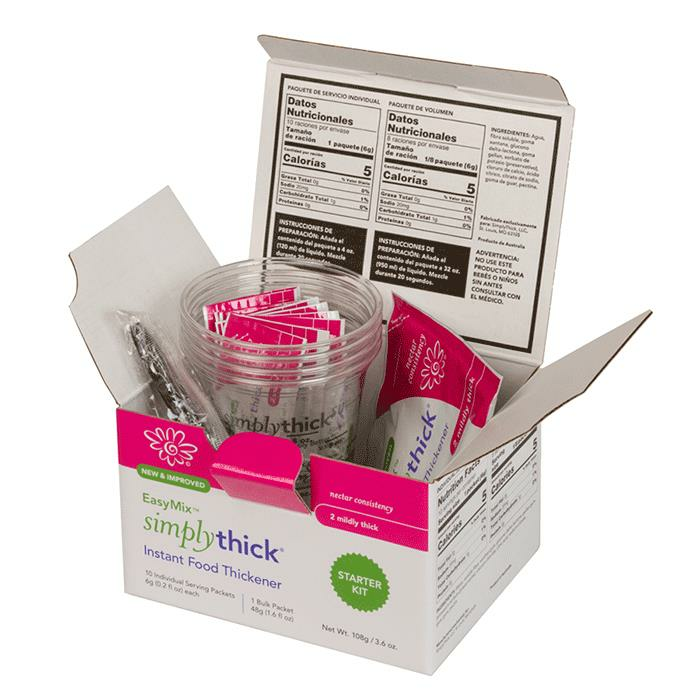 The SimplyThick brand thickener dispenser bottle is designed for simple, quick use in situations that require maximum flexibility in thickening. Simply add the appropriate amount of gel and mix. SimplyThick products may be stored in its original packaging for up to 12 months from its manufactured date. This "Best If Used By Date" is stamped on each packet in MMDDYY format (the codes to the right of the date are manufacturing codes). If you have a packet that is beyond this date, it may be a little more difficult to mix into solution but should still function properly. 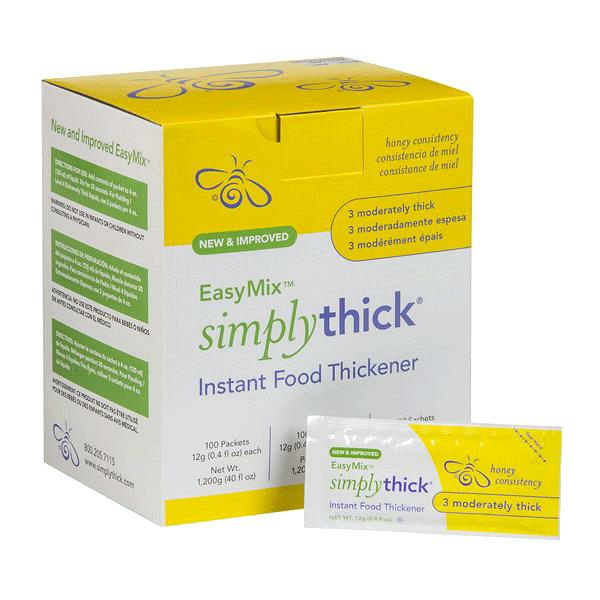 Do not use SimplyThick EasyMix in infants or children without consulting a physician.